We are leaders in aligning boards with strategy to deliver business results, with an integral focus on culture. Our firm specialises in board and C-suite performance, board search, governance, and culture diagnostics and analysis. Ultimately performance can be measured through the value which a board or Executive team contributes to an organisation. We help clients achieve greater alignment, lift contribution and performance, have open and constructive interactions and accelerate transformation. We work with clients to build outstanding composition and culture. We ourselves have been CEOs and Directors, and our firm is known for our proven expertise, commercial and strategic insights, thoughtful approach, and sound judgement brought to our work. Our experience of over 20 years working with boards and C-suite teams ranges from ASX and NZX top 10 through to private, NFP, private equity, statutory entities, and Federal and State government. Our depth of experience in working with boards means we are able to offer insights and benchmarking information into better practice governance, both in your sector and outside of it, to provide you with benchmarking and assurance about your board’s performance. Our experience spans financial services and superannuation, industrials, defence, Not For Profit, professional services (Big Four), telco, statutory bodies, academia, IT, energy, agribusiness and food, manufacturing, pharmaceuticals, health services, education, transport & logistics, construction, retail, tourism, and entertainment through to Federal and State Governments. BoardsGlobal’s principled approach in working with clients is to assist them to strengthen their boards and governance. Our rigorous methodology is data-driven and evidence-based. We use best practice models developed from leading research across governance, behavioural, organisational and neuro-science, and we monitor regulatory practice in Australasia, UK and Europe, USA and Canada. Practical insights from governance thought leaders are consistently incorporated into our practice. We use data analytics, including AI, to provide additional insight for clients. Our firm is known for our proven expertise, commercial and strategic insights, thoughtful approach, and sound judgement brought to our work in complex leadership environments. Our processes, reporting and recommendations encompass consideration of key views and emerging practices from recent and current Australasian enquiries and regulatory initiatives. Our team of specialists has extensive experience with renowned organisations internationally and in Australia, bringing deep knowledge of governance, culture, leading change, complex leadership group behaviour, and board search. With diverse backgrounds, including the military, the team takes a scientific approach that incorporates a human and cognitive element. We are certified in best-in-class tools such as The Leadership Circle®. With a deep understanding of board and organisational dynamics, Andrea specialises in board and culture performance, and board search. Her work delivers evidence-based insights drawing on the latest science and provides tangible results. With 30 years experience as a CEO, Managing Director, a partner in consulting firms, and a Non-Executive Director, Andrea has a deep commerciality and understanding of boards, leadership, and governance. She is known for the keen insight and sound judgement that she brings to her work. Andrea has consulted to organisations including Incitec Pivot, Bupa, ActewAGL, First State Super, SkyCity, KPMG, NAB, Meridian Energy, Blackmores, AHRI, IDP, Fletcher Building, Australia Post and Australian Red Cross. 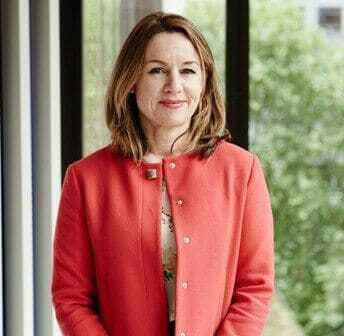 Her former executive career entailed CEO and C-suite roles delivering high growth and transformation for large multi-faceted organisations such as Nokia Mobile Phones (NZ) where she was the first female country leader globally, Spotless Group, and Melbourne Chamber of Commerce. An engaging speaker, Andrea has addressed forums and conferences in Australasia, Asia and the United States for organisations such as Boeing, Coles, Vi-Jon and Minter Ellison. Keep in touch for periodic invitations to events and information about board governance.